Russia's hybrid military forces continued to violate the ceasefire in Donbas, eastern Ukraine, as of 18:00 on October 24, with two Ukrainian soldiers reported as killed in action in the Mariupol sector and another two were killed while stepping on an unknown explosive device, according to the press center of the Anti-Terrorist Operation (ATO) Headquarters. 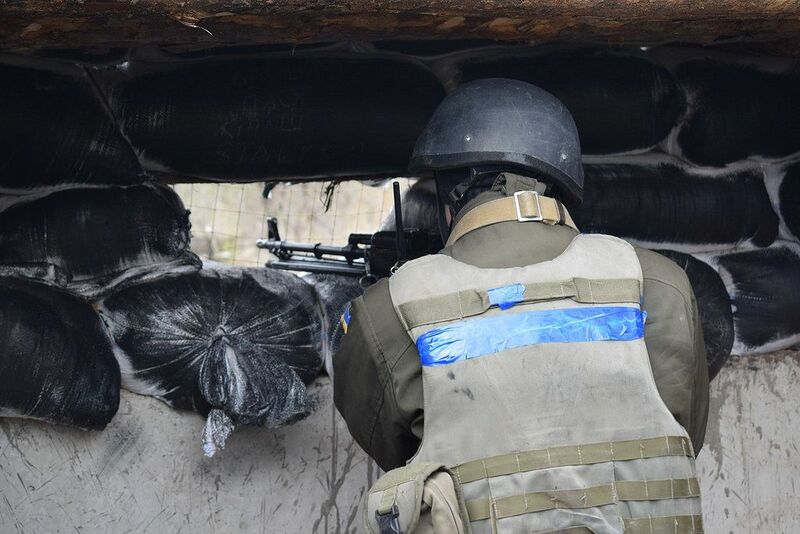 "In the Donetsk sector, the occupiers used automatic grenade launchers and machine guns against the Ukrainian fortified positions near the village of Verkhniotoretske. They also fired the same weapons on the Ukrainian fortified positions near the village of Vodiane, which is in the Mariupol sector. Moreover, the defenders of the town of Maryinka came under enemy fire in the afternoon," the report says. Read alsoATO HQ update: 22 attacks on Ukraine, one Ukrainian soldier wounded on Oct 23According to the press center, two Ukrainian soldiers were killed in action as a result of militant attacks in the Mariupol sector. Another two fighters were injured while stepping on an unknown explosive device. "In addition, two more soldiers were killed and one was injured in the same way in the Donetsk sector," the ATO HQ said.